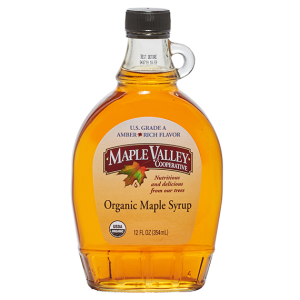 Grade A Amber Rich Maple Syrup has a smooth buttery maple flavor and is of lighter color, blended from sap harvested at the beginning of maple season. Some folks prefer it for table syrup. 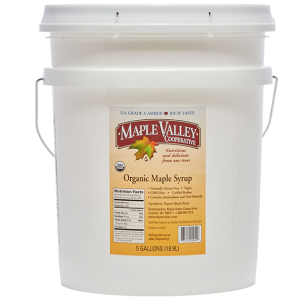 Organic certification insures biodiversity, health of the forest, and nutritious maple syrup. Case Deals! Get 10% off when you buy 12. 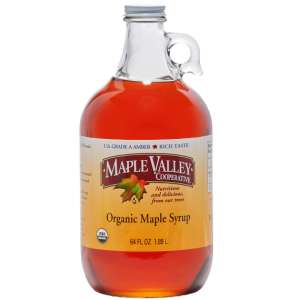 Maple Valley carefully crafts delicious blends of the finest maple syrup available. 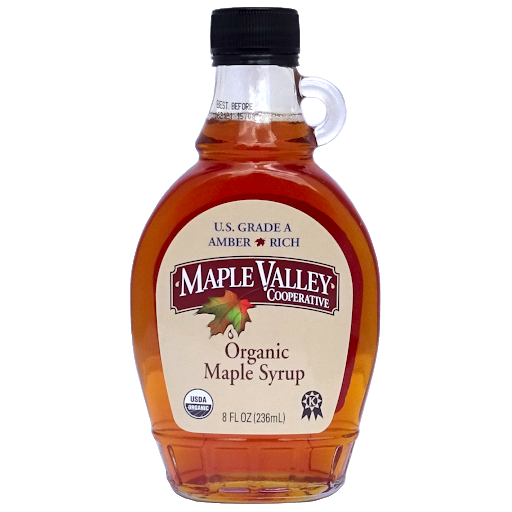 Our Amber Rich maple syrup is drawn from woodland sap early in the season and offers a smooth buttery maple flavor. Our Dark Robust variety is blended from sap later in the season, creating a full body maple flavor. 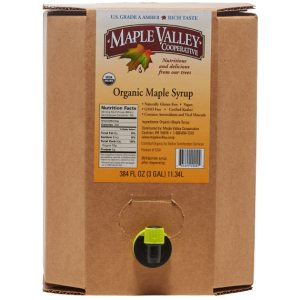 Organic certification insures biodiversity, health of the forest, and nutritious maple syrup. 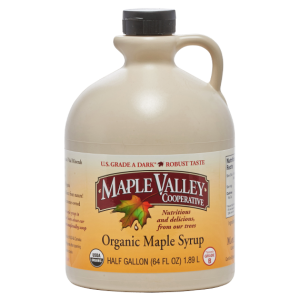 Five full gallons of our most popular syrup. Our Grade A Dark Robust (formerly Grade B) syrup is blended from sap harvested toward the latter part of maple season. It is dark in color and has a deep robust maple flavor. Many folks use Dark Robust for table syrup, baking and the Master Cleanse.